GMC SAVANA 3500 in year 2003. -GMC SAVANA 3500 in years 2005-2014. REAR CERAMIC. BRAKE pads for. GMC R1500 Suburban 1987 V8-305cid 5.0L FI VIN H. GMC R1500 Suburban 1987 V8-350cid 5.7L FI VIN K Chevrolet. GMC R1500 Suburban 1987 V8-379cid 6.2L DIESEL VIN C. GMC R1500 Suburban 1988 V8-350cid 5.7L FI VIN K Chevrolet. 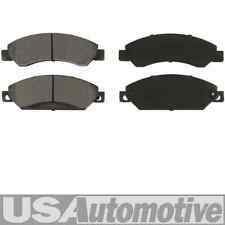 USR7372 EBC USR Front Brake Discs GMC Yukon/Yukon Denali. EBC Part Code: USR7372. EBC USR Grooved Discs are manufactured and machined using a high-quality alloy, designed to run up to 900 degrees centigrade (glowing red hot). GMC YUKON XL 2500 in years 2001-2013. due to weather conditions and many other factors. REARbrake DISCS for. 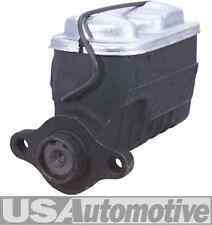 GMC Sierra 1500 2005 V6-262cid 4.3L FI VIN X Distributor-Breakerless. GMC Sierra 1500 2005 V8-294cid 4.8L FI VIN V. GMC Sierra 1500 2005 V8-364cid 6.0L FI VIN N. GMC Sierra 1500 2005 V8-5328cc 5.3L FI VIN B L33. EIS HYDRAULICBRAKE HOSE #SP4433. RAYBESTOS #36592. CHEVROLET BLAZER 1969-1970. CHEVROLET C10 PICKUP 1968-1970. CHEVROLET C20 PICKUP 1968-1972. CHEVROLET C20 SUBURBAN 1972. CHEVROLET C30 PICKUP 1968-1970. The new hoses help to prevent loss of brake fluid and provide optimal brake performance. HYDRAULIC BRAKE HOSE. 1951 GMC 100 Rear Center; Front Left; Front Right. 1952 GMC 100 Rear Center; Front Left; Front Right. GMC ACADIA 2007-2015. ENVOY GMC 2002-2009. PLAQUETTES DE FREIN / PLAQUETTES DE FREIN. PIONNIER DE CHEVROLET 2002-2009. Einbauposition Hinten. NUOVA Pompa freni - Frizione Land Rover Serie II Land Rover 88 109. GMC Sierra 1500 2005 6.0L V8 VIN:N,U. GMC Sierra 1500 2005 4.3L V6 VIN:X. GMC Sierra 1500 2005 4.8L V8 VIN:V. GMC Sierra 1500 2005 5.3L V8 VIN:T. GMC Sierra 1500 2005 ELECTRIC/GAS ELECTRIC/GAS VIN:T. GMC Sierra 1500 2005 5.3L V8 FLEX VIN:Z. TORRENT DE PONTIAC 2007-2009. TERRAIN GMC 2010-2014. SABOTS DE FREIN POUR LE FREIN À TAMBOUR. CONVIENT POUR Einbauposition Hinten. GMC SONOMA 1998-2005. GMC JIMMY 1997-2005. Einbauposition Links. Einbauposition Hinten. Produktgruppe Bremssystem. GMC SAVANA 3500 2003-2009. Plaquettes de frein plaquettes de frein Satzfür derrière. Plaquettes de frein arrière. Filtre à huile de transmission. Pièces de freinage. pièces de suspension. 203-989No de comparaison : 88982640 (GM). RAYBESTOS #BH36761 (#4536761). 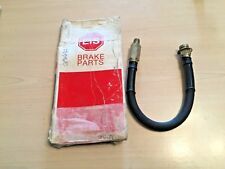 EIS HYDRAULICBRAKE HOSE #SP4972. GMC JIMMY 1971-1978. GMC K15 PICKUP 1975-1978. GMC K15 SUBURBAN 1975-1978. GMC K15/K1500 PICKUP 1971-1974. GMC K15/K1500 SUBURBAN 1974. GMC K25 PICKUP 1975-1978. 2000-2006 GMC YUKON AWD. GMC YUKON XL 1500 2000-2006 ADAM. SIERRA GMC 1500 2003-2006 PETER. CHEVROLET SUBURBAN 1500 2000-2006 AWD. PLAQUETTES DE FREIN / PLAQUETTES DE FREIN. CHEVROLET SILVERADO 1500 2001-2007 ADAM. Buick Rainier 2004-2005. ENVOY GMC 2002-2005. SABOTS PLAQUETTES DE FREIN / DE FREIN AVANT. SAAB 9-7 X 2005. CONVIENT POUR PIONNIER DE CHEVROLET 2002-2005. RAYBESTOS #BH36856 (#4536856). EIS HYDRAULICBRAKE HOSE #SP5758. GMC JIMMY 1979-1980. GMC K1500 PICKUP 1979-1980. GMC K1500 SUBURBAN 1979-1980. GMC K2500 PICKUP 1979-1980. GMC K2500 SUBURBAN 1979-1980. GMC JIMMY in year 1997. CHEVROLET BLAZER in year 1997. due to weather conditions and many other factors. FRONT BRAKE DISCS for. CADILLAC ESCALADE 2002-2004;. GMC YUKON 2000–2004;. GMC YUKON XL 2000–2004. CHEVROLET AVALANCHE 1500 2002-2004;. CHEVROLET SUBURBAN 1500 2000–2004;. CHEVROLET TAHOE 2000–2004;. Nous vérifions cela pour vous! RGMC227PT / GMC227. MADE BY POWERTUNE. CLASSIC MINI BRAKE MASTER CYLINDER. CLASSIC MINI SPECIALISTS. GD7372 EBC GD Front Brake Discs GMC Yukon/Yukon Denali. EBC Part Code: GD7372. EBC GD Discs are manufactured using a high-quality alloy designed to run up to 900 degrees centigrade (glowing red hot). Description: OE Number: GMC8-67UC1-A0 Detection Range: 1.5M—1.8M Direct fit replacement unit. Accurate measure the distance of vehicle rear and nearest obstacle. Uses advanced sonar technology to alert you when you maneuver too close to hazards that are poorly visible. When the car is back to its limit,this parking sensor will warning to attention driver. This is the Non-OEM product,accessories only! Fitment: Mazda 6 Note: Please check the compatibility information or call your local dealer to verify the correct OEM part number before placing order! Package Included: 1 x Bumper Parking Sensor. Emitto.it-ricambi auto. EMITTO s.r.l. dalle 14.00 alle 18.00. dalle 09.00 alle 12.30. ORARI: da lunedì a venerdì. Su richiesta riceverai ricevuta fiscale o fattura. Hai un problema?. DP61830 EBC Greenstuff Front Brake Pads for CADILLAC CHEVROLET GMC Escalade Avalanche Tahoe 2WD Tahoe 4WD Yukon/Yukon Denali. Greenstuff Brake Pads. Choose from EBC plain non drilled rotors or sport rotors in two choices – wide aperture GD Sport Rotors series for cooler running or new super silent UltimaxUSR slotted rotor series. GMC YUKON 2007-2015. SIERRA GMC 1500 2007-2015. PLAQUETTES DE FREIN / PLAQUETTES DE FREIN. CONVIENT POUR Einbauposition Hinten. CHEVROLET SILVERADO 1500 2007-2015. AUSTIN HEALEY SPRITE MkI & II ; YEARS 1958-1963. MG MIDGET MkI ; YEARS 1961-1963. This item is manufactured in the UK by TRW and is suppliedNEW and boxed. For reference, the Part No. It is supplied complete with 2 fitting bolts, nuts & washers to enable you to fit the cylinder to the bodywork. BREMSBELÄGE, VORNE (SATZ). TEILE SIND NEU UND UNGEBRAUCHT. PREIS FÜR SATZ. GMC ENVOY (2002-2005). CHEVROLET TRAILBLAZER (2002-2005). GM 12497782. EIS WHEEL CYLINDER EW155119. GMC C1500 PICKUP (1988 - 1991). GMC K1500 PICKUP (1988 - 1991). CHEVROLET C1500 PICKUP (1988 - 1991). CHEVROLET K1500 PICKUP (1988 - 1991). MPN = GMC1007. PART NUMBER: GMC1007. About Moss…. Year = 1967 - 1980. GMC SAVANA 1500 2009-2014. GMC YUKON & YUKON XL 2009-2014. GMC SIERRA 1500 2009-2014. due to weather conditions and many other factors. UKMAINLAND ONLY, ASK for the price for off-shore locations such as. 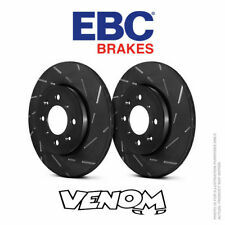 GD7372 EBC Turbo Grooved Brake Discs Front (PAIR) for CADILLAC CHEVROLET GMC Escalade Avalanche Tahoe 2WD Tahoe 4WD Yukon/Yukon Denali. Choose from EBC plain non drilled rotors or sport rotors in two choices – wide aperture GD Sport Rotors series for cooler running or new super silent UltimaxUSR slotted rotor series. Kit de réparation de maître cylindre frein mini classique pour s’adapter à GMC90376 servo frein monté maître-cylindre de 1989-95. Numéro de référence de la pièce : GRK1032. Manufacturer Part Number GRK1032. CHEVROLET TAHOE 2000-2006. SIERRA GMC 1500 2003-2006 PETER. 2000-2006 GMC YUKON AWD. GMC YUKON XL 1500 2000-2006 ADAM. CHEVROLET AVALANCHE 1500 2002-2006 ADAM. CHEVROLET SILVERADO 1500 2001-2007 ADAM. EIS WHEEL CYLINDER EW155120. GMC YUKON (1992 - 1999). GMC JIMMY (1992 - 1994). GMC K1500 PICKUP (1994 - 1999). CHEVROLET BLAZER (1992 - 1994). CHEVROLET K1500 PICKUP (1994 - 1999). (TRIUMPH SPITFIRE MkI, II, III, IV & 1500 (UK SINGLE LINE BRAKE SYSTEM TO FH130000) ; YEARS 1962-1978) . TRIUMPH SPITFIRE MkI, II, III, IV & EARLY 1500 (TO FH80000 ; LEFT HAND DRIVE FRANCE, BELGIUM, LUXEMBOURG & NETHERLANDS ONLY) ; YEARS 1962-1976. BUICK RAINIER 2004-2006 ;. GMC ENVOY 2002 – 2005. PIONNIER DE CHEVROLET 2002-2005 ;. Cette annonce contient Plaquettes de frein avant. Veuillez vous assurer que c’est la bonne pièce pour votre voiture. GMC JIMMY 1997-2005. CONVIENT POUR Einbauposition Vorne. Einbauposition Rechts. Einbauposition Links. CHEVROLET ASTRO in years 2003-2005. -GMC SAFARI VANS in years 2003-2005. due to weather conditions and many other factors. BT, KW, IV, PH, HS, KA, ZE, PA, AB and OBAN. GMC Acadia 2007-2014. GMC ENVOYÉ 2002-2009. LES PLAQUETTES DE FREIN ARRIÈRE. Einbauposition Links. Einbauposition Hinten. Produktgruppe Bremssystem. CHEVROLET pionnier 2002-2009. tous les moteurs. BREMSBELÄGE, HINTEN (PASST FÜR DIE LINKE UND RECHTE SEITE). TEILE SIND NEU UND UNGEBRAUCHT. PREIS FÜR SATZ. GMC ENVOY 2003-2005. DP1742 EBC Ultimax Front Brake Pads for CADILLAC CHEVROLET GMC Escalade Avalanche Tahoe 2WD Tahoe 4WD Yukon/Yukon Denali. Greenstuff Brake Pads. Choose from EBC plain non drilled rotors or sport rotors in two choices – wide aperture GD Sport Rotors series for cooler running or new super silent UltimaxUSR slotted rotor series. DP1830 EBC Ultimax Front Brake Pads for CADILLAC CHEVROLET GMC Escalade Avalanche Tahoe 2WD Tahoe 4WD Yukon/Yukon Denali. Greenstuff Brake Pads. Choose from EBC plain non drilled rotors or sport rotors in two choices – wide aperture GD Sport Rotors series for cooler running or new super silent UltimaxUSR slotted rotor series. PART NO GMC838 BORE SIZE 20.6mm. VW SANTANA 1.6 (INC DIESEL) 1.8, 1.9 OR 2.0 1981 - 1984 RHD ONLY. VW PASSAT 1.3, 1.6 (INC DIESEL) 1.8, 1.9 & 2.0 SALOON & ESTATE 1981 - 1984 RHD ONLY. GMC SAFARI. GMC YUKON in years 2000-2001. GMC SIERRA 1500 in years 1999-2006. GMC YUKON XL 1500 in years 2000-2006. GMC SIERRA 2500 in year 2003. GMC YUKON XL 2500 in year 2003. 6-STUD WHEELS. due to weather conditions and many other factors. Manufacturer's Part Number: WC37290. Do you have a worn-out or leaking wheel cylinder?. Raybestos PG Plus Professional Grade wheel cylinders match your vehicle's OE design. Professional Grade wheel cylinders are built for a long service life and feature the highest quality components for superior resistance to heat, corrosion, and leakage. 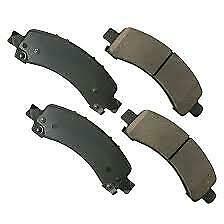 DP61830 EBC GreenStuff Front Brake Pads GMC Yukon/Yukon Denali. EBC Part Code: DP61830. 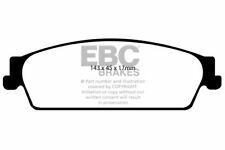 EBC GreenStuff Front Brake Pads. There is no such thing as a no dust pad and all brake pads create more dust as they are bedding-in especially if brake discs are worn.